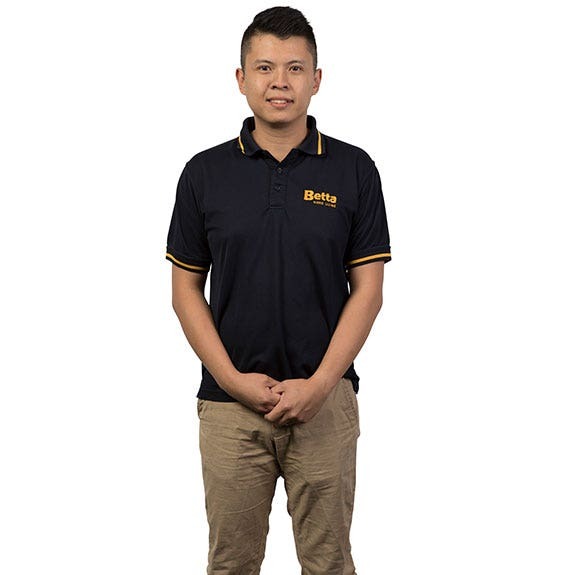 Moorabbin Betta store owner and operator, Aaron Teo, has been a local since 2001. The Moorabbin store supports the local community by providing sponsorships, donations, and raffles prizes to various groups and organisations. They currently employ eight local staff members. Betta's Moorabbin team are always ready to provide you the best deals on fridges and freezers, washing machines, kitchen and cooking appliances and vacuums. You can't go past the local expert advice Moorabbin Betta Home Living provide. Come in store to see all the big brands including, Beko, Bosch, Breville, DeLonghi, Dyson, Electrolux, Fisher & Paykel, Hisense, LG, Panasonic, Samsung, Simpson, Sunbeam, SMEG, TCL and Westinghouse. If you live in the following areas, Moorabbin Betta Home Living offer free door to door* delivery: 3145, 3148, 3161, 3162, 3163, 3165, 3166, 3167, 3168, 3169, 3172, 3185, 3186, 3187, 3188, 3189, 3190, 3191, 3192, 3193, 3194, 3195, 3204, 3207, 3800.